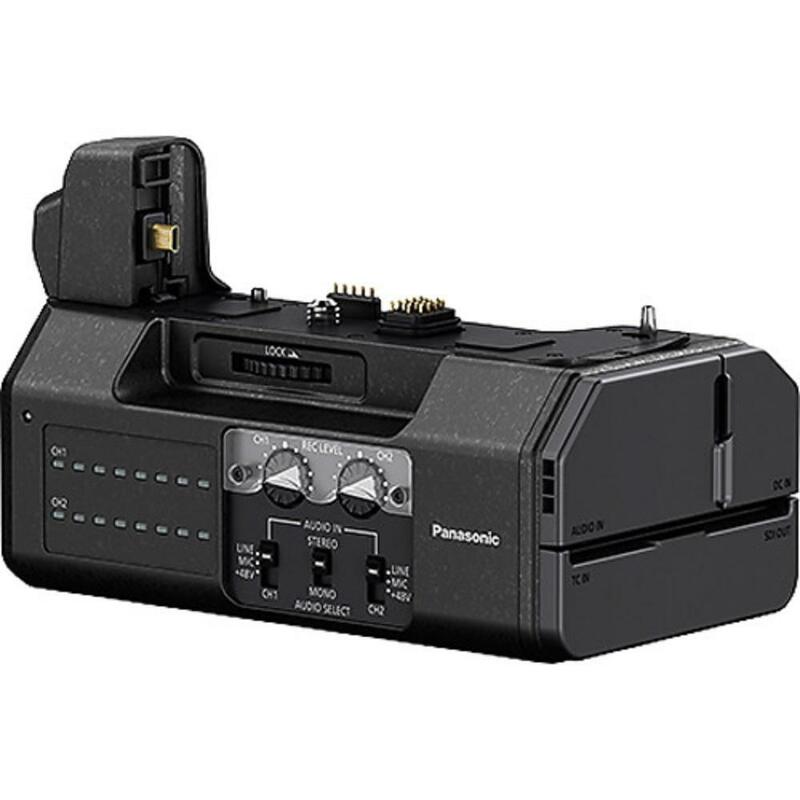 The Panasonic Lumix GH4 DMW-YAGH Interface Unit mounts to the bottom of your GH4 camera and provides connectivity to audio and video peripherals needed by professionals. 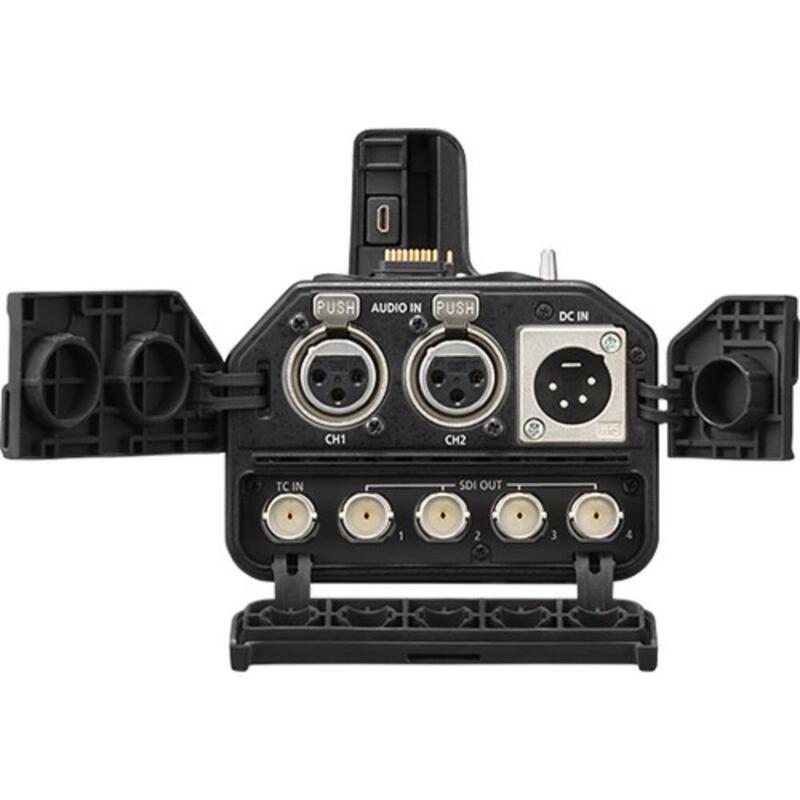 It is compatible with rail systems and adds stability when using adapters and PL mount cine lenses. 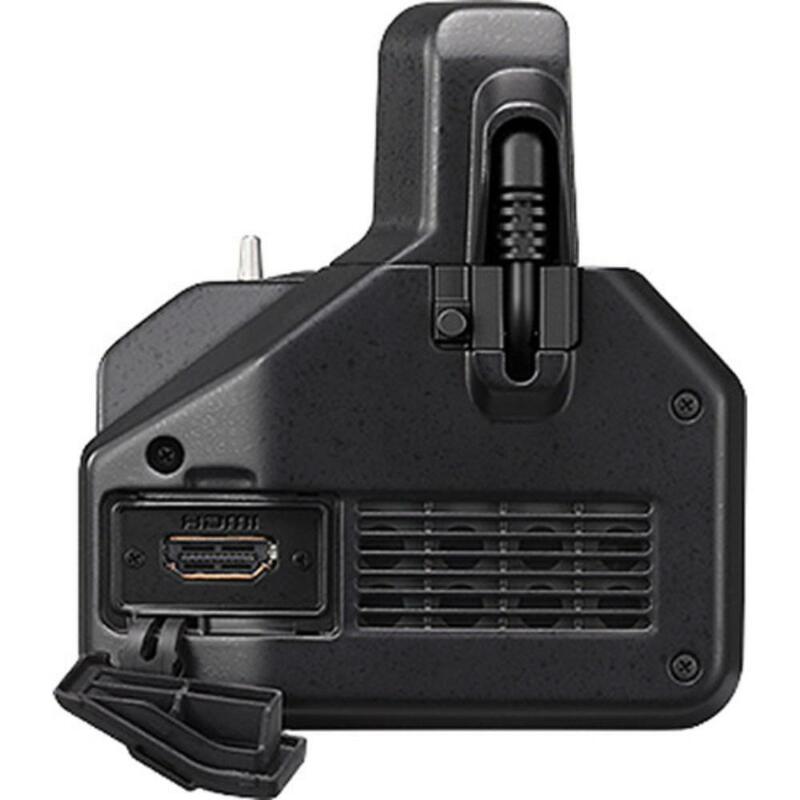 You have independent control over the left and right audio channels and you can output up to four simultaneous 1080p streams up to 30 FPS with timecodes. A 4-pin XLR 12V DC input is included but an industry standard DC battery must be rented separately. 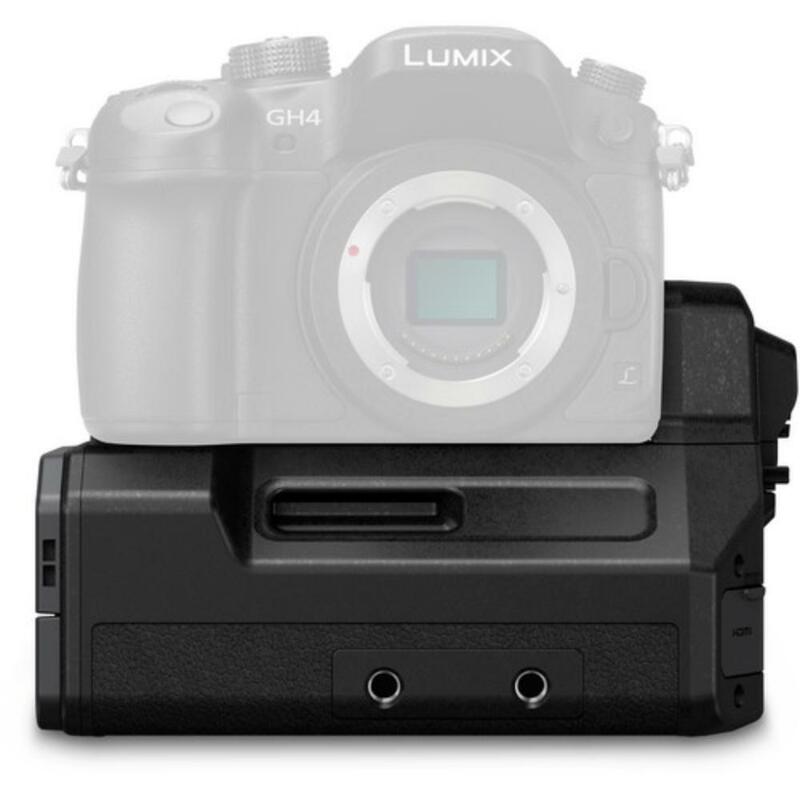 • When using 4:2:2/10-bit output you cannot also simultaneously record video to the SD card in the GH4. 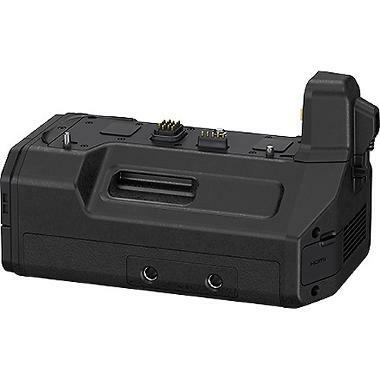 • The AC adapter will power this unit with or without a battery inside it but the AC adapter is not a charger for the unit or a battery.